Everspace game is now available on Xbox One and Windows 10. The Everspace game also supports Xbox play anywhere. 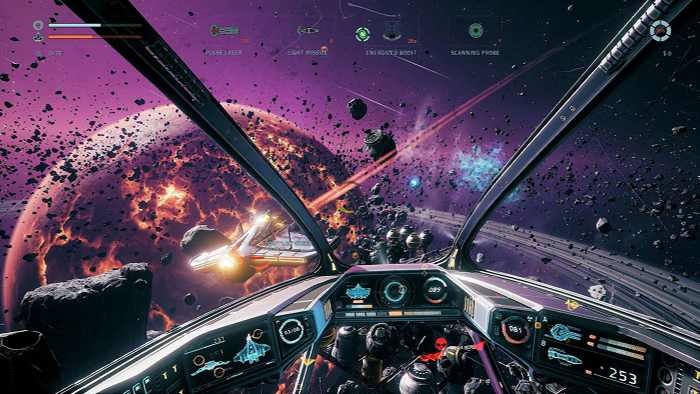 Everspace is an action-focused single-player space shooter combining roguelike elements with top-notch visuals and a captivating non-linear story. Everspace takes you on a challenging journey through an ever-changing, yet beautifully crafted universe full of surprises. Your skills, experience, and talent for improvisation will be tested continuously while learning about your own existence through encounters with interesting characters, each having their own part of the puzzle to tell. Each run will be exciting as you will have to face completely new situations keeping each part of the game long-lasting and generating lots of individual, meaningful moments to experience. However, no matter how skilled a pilot you are, death is inevitable, but only the beginning of a much larger journey. Craft! Use collected or mined resources to craft equipment and modifications for a much needed advantage or repair you ships systems. Your choice.